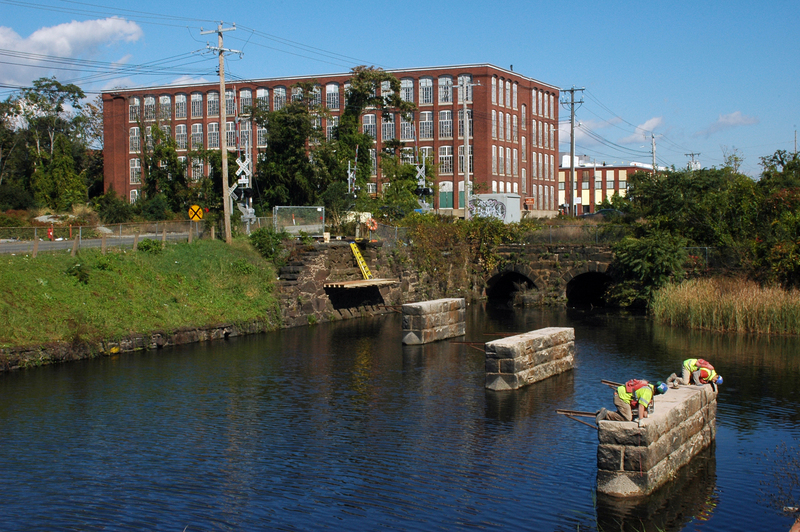 Work is being done on the abutments of the canal bridge leading to the Pan Am interchange in Holyoke. The spans have been removed and put in the old B&M yard area. Photographed by Charles England, October 17, 2018. Added to the photo archive by Charles England, October 17, 2018.